SBI PO Admit Card / Hall Ticket 2014 Download at www.sbi.co.in :State Bank of India (SBI) Probationary Officers (PO)-2014 Admit Card/Hall tickets are available at the official website if SBI at www.sbi.co.in. State Bank of India has released the recruitment notification for Probationary Officers (PO) in the month of April 2014. 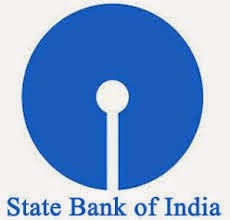 As SBI is a largest nationalized bank in India so many aspirants has applied for the State Bank of India (SBI) Probationary Officers (PO)-2014. All the applied Candidates are eagerly waiting for the Admit cards/hall tickets because the exam dates and venue of the examination is mentioned in the admit cards. All the Applied Candidates must download the Admit Card/hall tickets for SBI PO 2014 from the SBI official website.You can download the Admit Card/hall tickets from May/30th/2014 at www.sbi.co.in State Bank of India (SBI) has issued the recruitment notification for Total 1837 vacancies and SBI PO 2014 Exam is scheduled in the month of June 2014. · Navigate to Recruitment Section. · Click on admit cards for Written Examination link. · Type the Registration Number & Date of Birth (DD-MM-YY) OR Registration Number & Password. · Take the printout of Admit Card and take print on A4 size paper. Note: SBI PO-2014 exam has been scheduled in June/July 2014 on different dates and different time slots. The venue, date, time of written exam and particulars of the candidates will be mentioned in the Admit Card/hall tickets. The candidates should paste the latest passport size photograph on the Admit Card and the candidate should carry the admit card necessarily to the examination hall. Candidates are not allowed to take the exam without hall tickets/admit cards. Candidate should carry the photo ID proof both in Xerox and Original.